Whole Life Health Care presents Leading Through Loss: Helpful Tools for Support and Guidance. Our families and our communities, especially our schools, are in the midst of many challenges. Do you need to share your stress, grief, or questions? Are you seeking a supportive place to gather and share? Are you looking to connect with others to find ways to lead your classroom, family, workplace, or community to health and wellbeing? Please join the WLHC Family Practice Providers and Integrative Practitioners with guest presenter, Rebecca Packard, a former emergency medicine responder, to learn about practical tools to manage trauma with time-tested and accessible healing methods. 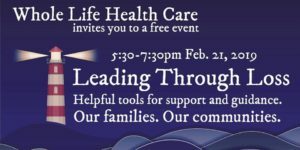 This is an opportunity to connect with other community members who seek solutions and support in the warm, welcoming setting of Whole Life Health Care. Hilary Crowley is a Natural Health Intuitive & Energy Medicine practitioner at Whole Life Health Care in Newington, New Hampshire. 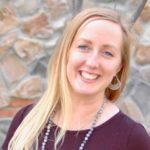 Hilary is dedicated to bringing energy healing and integrative care together for solution-based health. Rebecca Packard has spent her life helping people in their darkest hour. As a full-time Emergency Medical Technician for 15 years, she has a thorough understanding of the emotional affects and impacts that life can have on people and what it can do to you if you don't release it. 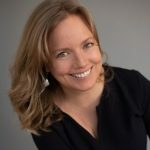 Now, as a Holistic healer specializing in the emotion code and body code, Rebecca will guide attendees to release emotions, provide tools to keep you from accumulating more, and help you to live free.